On February 28, 2014, we had a riveting Q&A Interview with Michael F. Steger, PhD, international authority on the study of meaning and quality of life, Associate Professor of Psychology at Colorado State University, and co-editor of Purpose and Meaning in the Workplace. 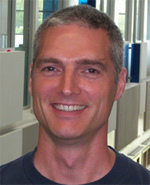 Michael F. “Mike” Steger is Associate Professor of Psychology at Colorado State University and a significant researcher in positive psychology. He has spent more than a decade researching people’s ability to find meaning in their lives and the benefits of living a meaningful life. An exceptional speaker, Mike will field any questions listeners ask including such questions as what can psychological research tell us about “What Makes Life Meaningful?”. He is the co-editor of Designing Positive Psychology and Purpose and Meaning in the Workplace. Work is one of the fundamental experiences of human life. Yet very few of us are lucky enough to find truly fulfilling jobs. In recent decades, as businesses have come to understand the crucial link between happiness and productivity, researchers have focused increasingly on factors such as the nature of the work itself, how well it is suited to the worker, and the ways in which employees can derive meaning and purpose from their work. 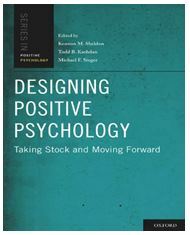 In this groundbreaking book, editors Bryan Dik, Zinta Byrne, and Michael Steger have brought together experts in counseling and vocational psychology, industrial and organizational psychology, and the fields of executive coaching and management to investigate how meaningful work can be fostered and sustained throughout a wide range of work environments. Theoretically-grounded, yet filled with practical strategies for the workplace, this book is an important resource for academics, executive consultants, career counselors, human resource professionals, and organizational leaders alike. “I’m often amazed at how much valuable information from the social sciences is ignored or neglected by the business world. In my own career, I’ve found that tapping in to research from psychology and other social sciences can give any business leader a distinct advantage over their competition. “This book is a perfect example–it is filled with the latest thinking from the top researchers from a variety of fields about making work engaging, personal and meaningful. The sad reality is, most business leaders will never take the time to delve into an academic book like this. But those who do will find a ton of ideas, tested in research and practice, to create a more engaged workforce, infuse work with more passion, and connect people to the meaning behind their jobs. Scholars in the areas of social, personality, clinical, biological, emotional, and applied psychology take stock of their fields, while bearing in mind the original manifesto and goals of the positive psychology movement. They provide honest, critical evaluations of the flaws and untapped potential of their fields of study. The contributors design the optimal future of positive psychology by addressing gaps, biases, and methodological limitations, and exploring exciting new questions. Mike Steger, PhD, is an Associate Professor of Counseling Psychology and Applied Social Psychology and Director of Clinical Training at Colorado State University. He received his BA from Macalester College, his MS from University of Oregon, and his PhD, with a dual specialization in counseling and personality psychology, from the University of Minnesota in 2005. His graduate work on developing a measure of meaning in life earned him the Best Dissertation Award from the International Society for Quality-of-Life Studies. Mike is the Director for Colorado State University’s Laboratory for the Study of Meaning and Quality of Life, and has spent more than a decade researching the factors that promote human flourishing and ameliorate psychological suffering. The main emphasis of Mike’s research is on understanding how people find meaning in their lives and how they benefit from living a meaningful life. This line of research led him to develop a widely-used measure of meaning and purpose, the Meaning in Life Questionnaire, which has been translated into over 30 languages. His current research examines the role of meaning in people’s health, including their engagement in health-risking and health-promoting behaviors. He also has a line of research that explores how organizations and leaders can become more effective through fostering meaningful work and creating healthier, happier, and more productive workplaces. Besides his many articles, Mike’s published works include two books co-edited with other positive psychologists,Designing Positive Psychology: Taking Stock and Moving Forward (2011), and the recently-released Purpose and Meaning in the Workplace. He enjoys speaking and providing workshops around the world on the topics of meaning, purpose, meaningful work, calling, and psychological strengths. 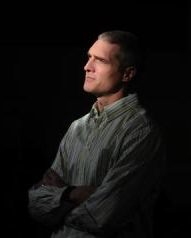 Mike lives with his wife and two children near Colorado State University. “I started thinking about the assumptions I had seen written into stone in the small town in southwestern Minnesota where I grew up,” he says. “What if everybody thought about the assumptions they made in their lives? If people lived a little bit more intentionally, we would have a better world to live in.” He applies what he’s learned about positive psychology to his own life, savoring every chance he gets to wander into the Colorado mountains, and reminding himself what really matters by spending a good quantity of quality time with his family. TEDx talk by Mike: What Makes Life Meaningful? Engaging and inspiring. The Meaning in Life . Mike’s Psychology Today blog.